A lot of the posts on this blog center their attention on our pain, our medications, our hope, our faith, our fatigue, and our daily suffering. What we don't discuss very often are the people in our lives who help us keep going from day to day--our caregivers. So, this is a shoutout to the people whose lives have been forever changed by ours, whose strength holds us in our weakness, whose hope reminds us that each day has value, even when we spend them in bed, and whose persistent, compassionate love shows us God's love to us in tangible ways when the pills and pain get to be too much. In honor of Canada Day, I would like to share some traits about my husband who is Canadian that have strengthened me in this journey. While marriage under normal circumstances can be stressful, adding a chronic condition to the mix, especially right in the beginning, will have challenges of its own. It's not been an easy start, but having him along makes the rough parts worth it. So, consider this a list of some of his character traits that I am grateful for. He is a constant source of strength to me when I am weak. One aspect of chronic illness that I hate is constantly feeling my weakness and feeling the fatigue. It's easy to focus on the fact that I can no longer accomplish things I used to be able to "power through" or things I've always wanted to try are now out of the question, but it is a great comfort to know that even on the days when I have a hard time getting out of bed, Jon is ready to lend all of his strength (and he is a pretty tough Canadian guy, eh) to me at a moment's notice. If I can't cook dinner or help with laundry or sweep or whatever needs to be done, he is ready to fill in the gap where my ability is lacking. Also on an emotional level, when I am upset at my status, he is ready to sit with me and let me vent the emotions or cry until his shirt is drenched in my feelings. He is ready to be my strength, and there are lots of days where I need that. He is patient with my limitations. As previously mentioned, there are distinct limitations on my physical energy and strength. This means that sometimes basic household stuff doesn't get done. Rather than coming home and looking around at what I haven't finished while he was at work, he is just so glad to see me. When I need space and time to collect my wits in the morning and prepare myself to face another day, he's willing to back away and give me that space. There are lots of ways that my condition has become his condition, and rather than venting the inevitable frustration he faces from that back onto me, he is patient and gentle and kind. He is constantly looking out for my best interests. This might sound like an odd thought, but when we are out somewhere and friends ask if we want to go have dinner at a restaurant with them, he is always checking on how I'm doing before just automatically assuming we can go. If I am seeming tired, he wants to know how I'm doing and what he can do to help me. When it's time to pick what we're going to eat he wants to make sure that it will not upset my stomach. Whether it's being my advocate in conversations where I can't think quickly enough to interact because of fibrofog or simply just checking with me before agreeing to make plans that will affect us, he is constantly doing his best to consider my needs and see that they are met. He is learning my condition. This one is incredibly special and important when dealing with a caregiver who is also a spouse. It is good to read and study on the abstract condition that you've been diagnosed with, but to actually study how it affects the person you're caring for emotionally, physically, spiritually, etc. is so much more meaningful. I can't put into adequate words how good it is to know that someone is not only watching out for you but is also actively working on learning how you function within the specific condition you have. 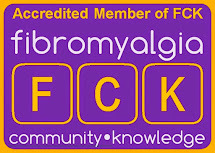 Somedays Jon knows my tendencies and needs with fibro better than I do, and that's a good thing because I can't remember them anyway. He loves me--fibro and all. It's hard to explain to a dating couple or engaged couple or even a healthy married couple, what love looks like for a young couple who are less than two years into marriage and dealing with life altering chronic conditions on a daily basis. It really does become a third entity in the relationship. Every situation must take it into account, and nearly every conversation and interaction is affected by it somehow. Choosing to marry Jon knowing some of the extent to which it would weigh on him was one of the hardest decisions I've ever had to make, and it was one I struggled with extensively. It didn't feel fair to put this on him, knowing that there was no way to adequately explain my condition to him until he was living with it everyday. However, even though it makes our life together much more complicated than a lot of other newly-weds I am so glad we went through with our decision. 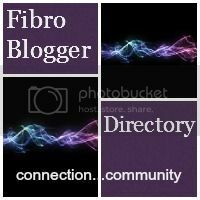 Fibro with Jon is so much better than fibro before Jon. I thought I had a rough idea of what love might look like before this, but seeing Jon deal with my condition on a daily basis as if it truly was afflicting his own body--I now feel confident I have a more intimate understanding of what it means to love your spouse. To those fighting these conditions with no one by your side -- I am sorry. I am so so sorry. I know that so much of the struggle of our conditions is the isolation they bring on us, and it is so much more heavy when there is no one with us at home to carry the load. I have had some days of my own in this camp, before Jon, and the struggle runs deep. It can drive us into the ground if we let it. I think I would say to you who are still in that place, don't let yourself be alone. I know you can't really choose to just go out and get married or call back your family if they've written you off from misunderstandings of your condition, but there are online communities out there designed to bring support and empathy. Reach out for help. Don't let yourself go through this struggle alone. If you need someone to listen to your battle, I want to be here for you. You can reach me through the comments or the facebook, twitter, or google+ pages. Bottom line: we are meant to face these trials together. This can be the loneliest existence in the world if we let it, so let's choose not to. Let's take that power back and reach out. 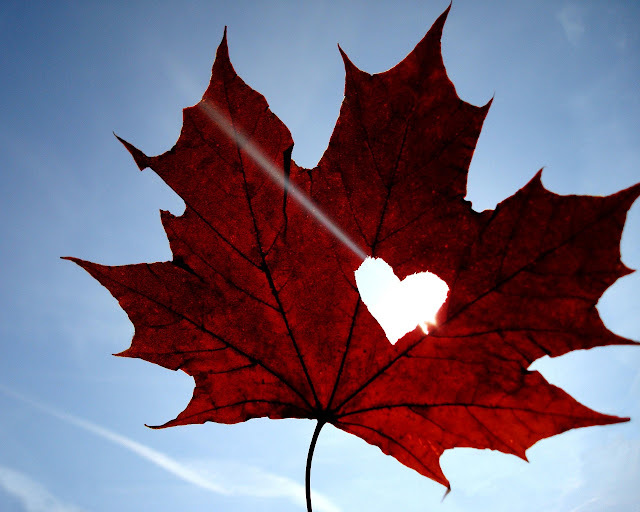 Happy Canada Day to everyone far and near. Happy Canada Day particulary to my favorite Canadian :) and to our family who will be celebrating it miles away. We miss you and will think of you as we celebrate it this year. Thank you for raising a son who is a strong, gentle caregiver. He is loved and appreciated. And to someone I don't say it often enough--Thank you for being my husband, my best friend, and my caregiver.